Is it me or does it almost seem like motherhood is “trending”? Maybe it’s because Instagram influencers I've followed since the get-go (@somethingnavy) are growing up and growing their families in the public eye, or maybe it's just that I've gotten to "that age." Whenever a wee-one arrives, priorities do inevitably shift. However, amongst my friends I'm recognizing a trend towards a more European style of parenting. One where a baby doesn't mean the END of a personal life, but rather the BEGINNING of a new sidekick. Newborns have become the ultimate accessory, coming along everywhere and mini-me toddlers are dressing as well as their style-setting mommies. Nowadays, posting your bikini bump is as popular as posting an #OOTD and mom jeans are for everyone. Becoming a mother comes with plenty of challenges. Along with physical changes and less "you" time, the fear of losing your personal style can certainly be one of them. It's an exciting time, but also a tough one! In fact - a HUGE portion of my work as a personal stylist comes from new mommies who are ready to reclaim their personal identity after birth. 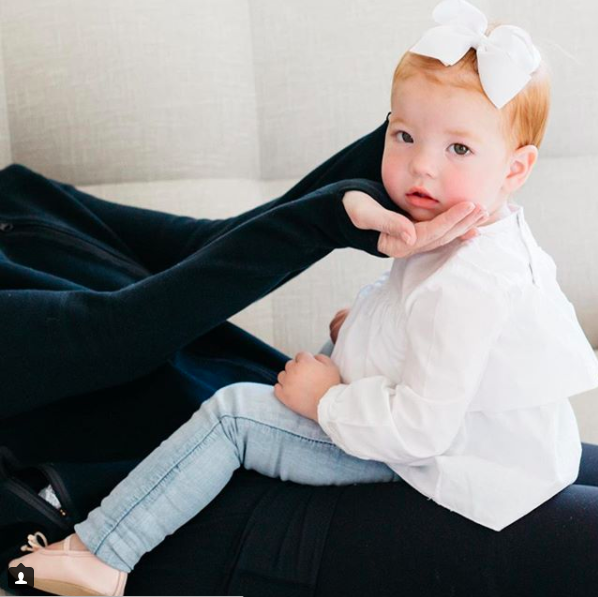 These 6 Insta-mommies remind us that motherhood is a chance to have fun and redefine your fashion identity, while creating a whole new mini-one. Happy Mother's Day from these babes:! Warming body oil to get you New Yorkers through the last of winter's grip, cooling gels to calm Angelenos already in the midst of a heat wave...A muscle rub that actually smells good AND works and more of my favorite products from one of my longtime favorite botanically based, environmentally friendly beauty brands... Yuni! I Don't Need Deodorant, I Have Dirt; Why I Get Dirty to Get Clean. My surprising trick to staying fresh and maintaining clear skin, naturally! Check out how some of your favorite (and even naughty!) foods can keep your skin safe this summer. I'm Neurotic About My Skin, But I Love the Sun. Here Are My Secrets. My Scandinavian/Belgian heritage doesn't exactly prepare me for a life of endless summer. These clean and natural secrets give my skin love while I give the sun love. Brighten Up and Prepare to Bare Your Skin for Spring! I've got an arsenal of tricks up my sleeve to achieve an "effortless" glow. It may not actually be effortless, but at least you can claim it's "natural!" From home remedies to trustworthy powerhouse products, most of these are achievable even if your travel schedule is as nutty as mine. When it comes to natural beauty, nobody does it better than California. For those in the sunshine state (or planning a visit) I've rounded up 3 fresh and extra chic salons where cosmetic toxins are not welcome, but good vibes and great services are. Did you know there's a Dirty Dozen of beauty, just like there is for food? Check out the basics of what you need to know, plus 15 of the best beauty products to clean up your act. 2 Ingredient, DIY Detox Facemask! Watch and learn how to make this powerful ancient clay mask in just 1 minute with only 2 ingredients. In the summertime, travel sized beauty products become essential, and so is the right sunscreen. I’ve rounded up some of my favorite summer beauty essentials that you can trust. What I Wish I'd Known... New Mommy, Elizabeth Minett Spills!